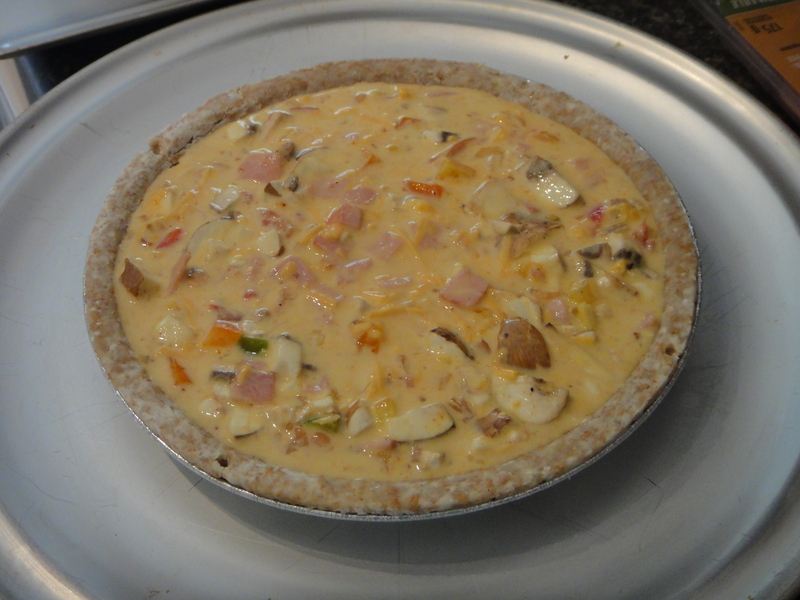 Ah Quiche. It’s the perfect thing to make when you have tons of veggies in your fridge that you need to get rid of. I also just found out the other day that Justin LOVES quiche. After 6 years of being together, I only just found this out about him. That’s the only problem with being someone who is that super easy going – They never tell you what they truly prefer in terms of food! They just go along, eating whatever you make, and finally, one day, when you hit the nail on the head of what they truly truly love, they go go berserk! This one was quite the winner, and super easy to make, too. Here are all of the ingredients I used for this one. 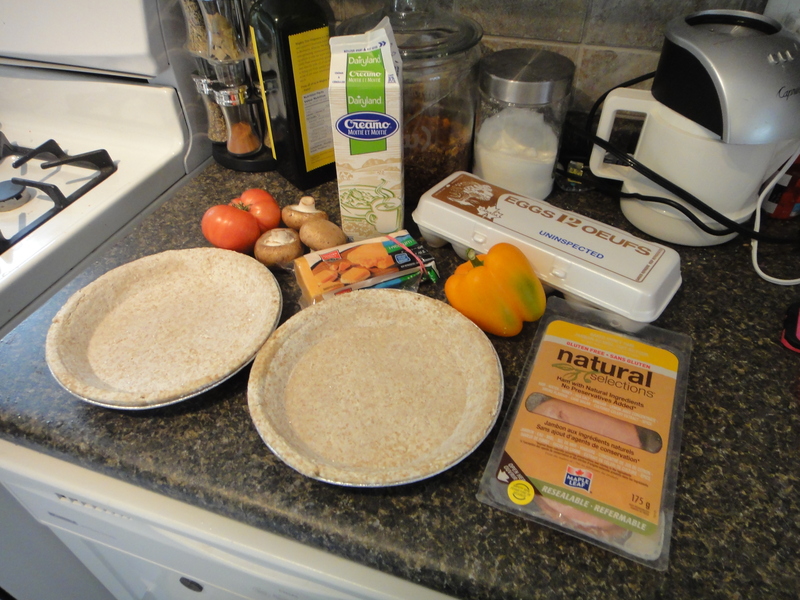 I found whole wheat pie shells at Save on Foods the other day. Eureka! No more pasty white flour pie shells for us! I chopped up all the veggies in a large bowl. Then I grated the cheese on top. I cracked all of the eggs into another bowl, so I could whisk them up well before adding them to the veggies. One of the keys to a good quiche is the right spices. You don’t want your quiche to be bland, so make sure you add the right amount of your favourite spices and seasoning. Mix everything up into the bowl. Then pour it into the pie crush. Bake at 375 until golden brown. Serve nice and warm. Preheat oven to 375. Dice all veggies and ham and put into a large bowl. Grate the cheese into the bowl on top of the veggies. In another bowl, crack eggs and beat until well combined. Add milk and cream. Add milk and egg mixture to vegetables and ham and all your seasoning; then mix until evenly combined. Pour into pie crust. Bake at 375 for about 30 mins, until the filling is set, and does not wiggle when you move it. Serve warm. Enjoy!